How Do I Make My Analog Sensor Less Complex? So, you have a (or many) analog sensor in your application or system and they could be 4-20mA signal or 0-10V or even -10- +10V signal strength. You probably know that installing these specialty sensors takes some effort. You need shielded cables for signal transmission, the sensor probably has some digital interface for set-point settings or configuration. In all, there are probably 6-8 at minimum terminations for this single sensor. Furthermore, these expensive cables need to be routed properly to ensure minimal electromagnetic interference (EMI) on the wire. To make matter more complex, when its time to diagnose problem with the sensor, it is always on the back of your mind that may be the cable is catching some interference and giving improper readings or errors. On the other hand, the cost side also is little tricky. You have the state of the art sensor that requires expensive shielded cable and the expensive analog input card (which generally has 4 channels- even if you use single channel), plus some digital I/O to get this single sensor to communicate to your PLC/PAC or controller. You are absolutely right, that is why people are demanding to have this sensor directly on their network so that it eliminates all the expensive cables and cards and talks directly to the controller on express way– so to speak. Recently, there has been an explosion of industrial communication networks and fieldbuses. To name a few: EtherNet/IP, DeviceNet, PROFINET, PROFIBUS, CC-Link, CC-Link IE, Powerlink, Sercos, and the list goes on. 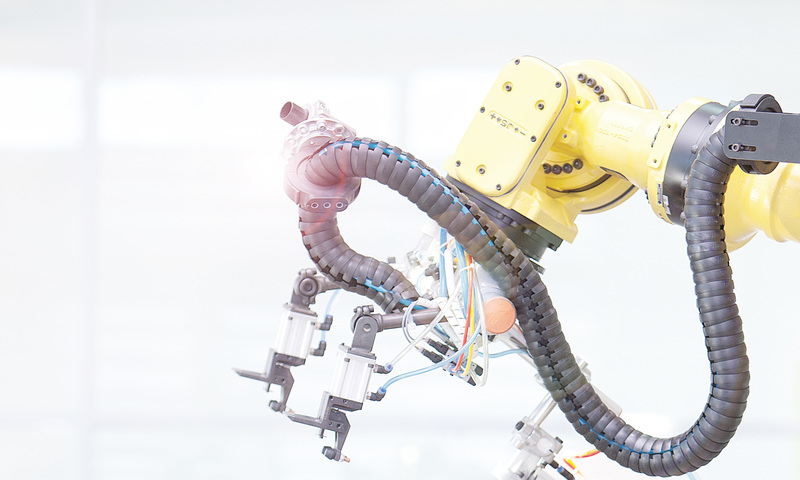 As a machine builder, you want to be open to any network of customer’s choice. So, if that is the case, having network node on the sensor itself would make that sensor more bulky and expensive than before — but not only that, now the manufacturers have to develop sensor connectivity to ALL the networks and maintain separate inventory of each type. As a machine builder, it does put lot more stress on you as well to maintain different Bills of Materials (BOMs) for different projects – most likely – different sourcing channels and so on. So far what we discussed are two extremes; the way of the past with shielded cables and analog cards, and a wishful future where all devices are on the network. There is a middle ground that bridges yesterday’s method and the wishful future without adding any burden on manufacturers of the sensors or even the machine builders. The solution is IO-Link. IO-Link is the first standard (IEC 61131-9) sensor actuator communication technology. There are over 100+ members in the consortium that produce wide variety of sensors that can communicate over IO-Link. All signal communication and configuration now occurs on standard 3 conductor cable that you are currently using for your discrete sensors. 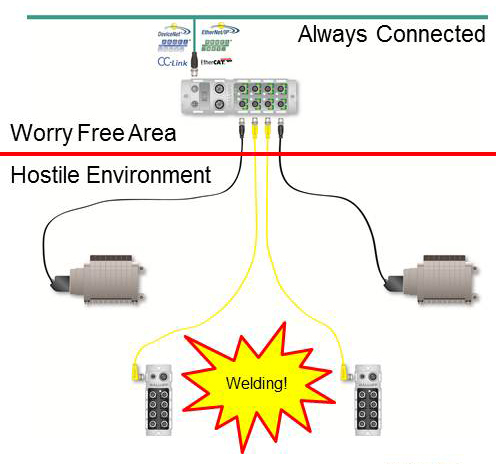 The IO-Link master in turn acts as a gateway to the network. So, the IO-Link master sits on the network or fieldbus and collects all the sensors or discrete I/O information from devices and sends it to the controller or the PLC of the customer choice. When your customer demands a different network or the fieldbus, the only thing that changes in your question is the master that talks to a different protocol. In my next blog we will discuss how you can eliminate shielded cables and expensive analog cards for your existing analog sensor. Let me give you a hint– again the solution is with IO-Link. You can learn more about IO-Link at www.balluff.us.